Have fun, despite the decreasing temperatures, with a adult fun night in! With the weather outside getting colder many people prefer to spend a fun night in rather than a fun night out. Going out means dealing with cold weather conditions, having to get all bundled up and spending more money than you would just staying in. Of course this doesn’t mean you should become a hermit for the 2014-2015 Winter season, but you can create your own fun activities to do right from home, like an adult fun night in! After a long week everyone deserves a little bit of entertainment & excitement and adult fun nights in are a great way to socialize and have fun! Here are some ideas and suggestions of things you can incorporate into your adult fun night in! Movie marathons are great for an intimate, smaller gathering of friends. If your fun adult night in includes just a few close friends, especially ones who are also movie buffs, then a movie marathon is a must on the itinerary. Have each of your guests bring a movie then vote to see which ones make the cut. A little bit of friendly competition never hurt anyone! 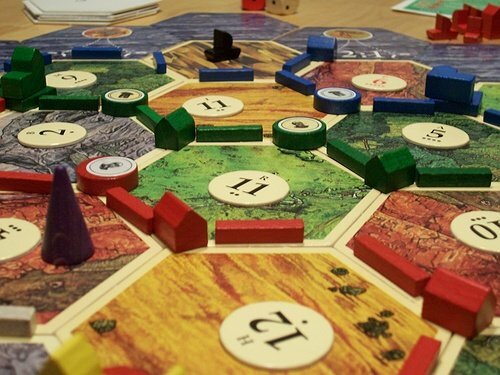 Incorporate board games into your fun adult night in! You can play a classic game like Monopoly, or try other games like Settlers of Catan, Trivial Pursuit or Apples to Apples. No party for adults would be complete without cocktails, beer or wine! Instead of just drinking them though, have your guests come up with funny, clever or kooky names for them! Whichever name is best can be the official drink of the night. Nothing brings people together quite the same way that food does! Ask all of your guests to bring a dish to your party that way you all can share a delicious pot luck dinner! Also, if your guests have any diet limitations pot lucks works out to their advantage because they can make and bring along a dish they know they can eat and will like. You don’t have to have the best voice to participate in karaoke, it actually makes it that much better if you don’t! Set up the karaoke machine and let your invitees’ belt along shamelessly to their favorite tune. With certain video gaming systems designed perfectly for group participation, like the Wii and Wii U consoles, you can get your party guests moving and playing along to fun games like Wii Sports, Just Dance and more! Whether your fondue fountain contains melted cheese or gooey chocolate, there’s no doubt your guests will be flocking to this delicious, decadent display. What sorts of fun activities to you have planned for your next adult fun night in? Let us know! Subject: LongIsland.com - Your Name sent you Article details of "Planning the Perfect Adult Fun Night In"